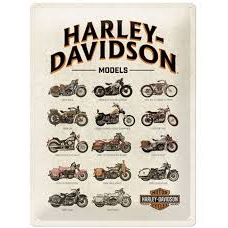 They have become one of the world's largest motorcycle manufacturers and an iconic brand widely known for its loyal following — with owner clubs and events worldwide as well as a company sponsored brand-focused museum. 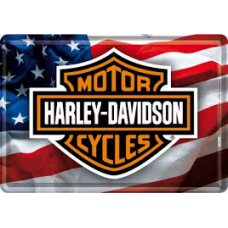 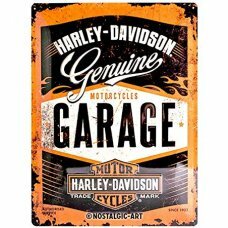 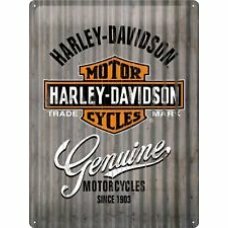 Besides motorcycles, the company licenses and markets merchandise under the Harley-Davidson brand, among them being apparel, home decor and ornaments, accessories, toys, and scale figures of its motorcycles, and video games based on its motorcycle line and the community. 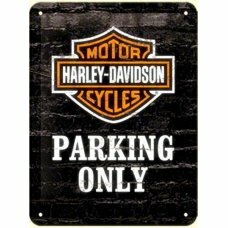 Capacity: 3Ltr Food SafeFeatures embossed image on lidPrinted directly on the product (not a printed..
Genuine Licensed ProductTin Sign measuring approx 30 x 40cm - ready to hang..
Genuine Harley Davidson Metal Tin Sign measuring 30 x 40 cm..
Genuine Licensed Product Embossed ready to hang and measuring 30 x 40cm..
Harley Davidson Genuine Thermometer Nicely gift boxed. 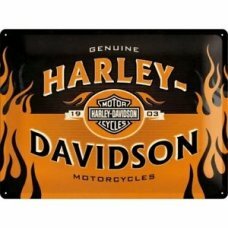 Harley Davidson Distressed Black Thermometer ..
Harley Davidson Tin Box A storage tin for petrol-heads. 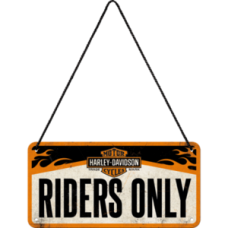 ..
Genuine ProductMeasuring approx 30 x 40cm.Pre drilled and ready to hang ..
10 X 14 X 20 cmMetal Tin..